This set includes everything needed for perfect gluing in any situation. 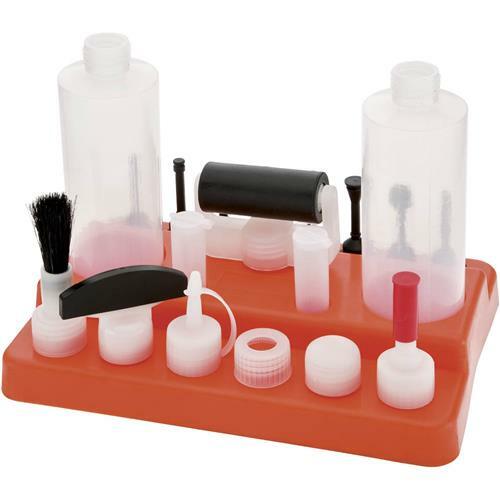 Set features organizing stand, two glue bottles, glue tip cleaning bottles, and various applicator tips; applicator tips include a roller, biscuit slot, dowel hole, glue brush, pinpoint, dovetail, and standard tips. Glue not included. 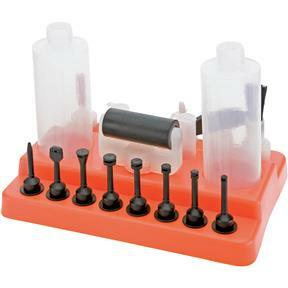 I have not used ever piece in this set, but several of them. 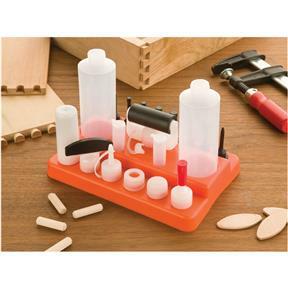 When I needed to glue up projects from the straight forward to the "I just need to get right there with a little glue" this set has what I needed so far. Great set especially for the price.